My homemade taco seasoning is healthier than the store bought taco seasoning pouch. Not to mention it tastes much better. Did you ever notice all the additives they put in the processed food we buy from the grocery store ? Well, when it comes to things like seasonings, why not make your own? It’s healthier and much better for you. You’ll really notice the difference in taste when you make this yourself. This seasoning isn’t limited to just tacos however. It can be used in tacos, soup, casseroles and much more. When you make this yourself you can adjust it depending on what recipe you’re making it for. This is a great choice of seasoning for ground beef or chicken. Click here for more –> RECIPES! You can easily double this recipe to make more. 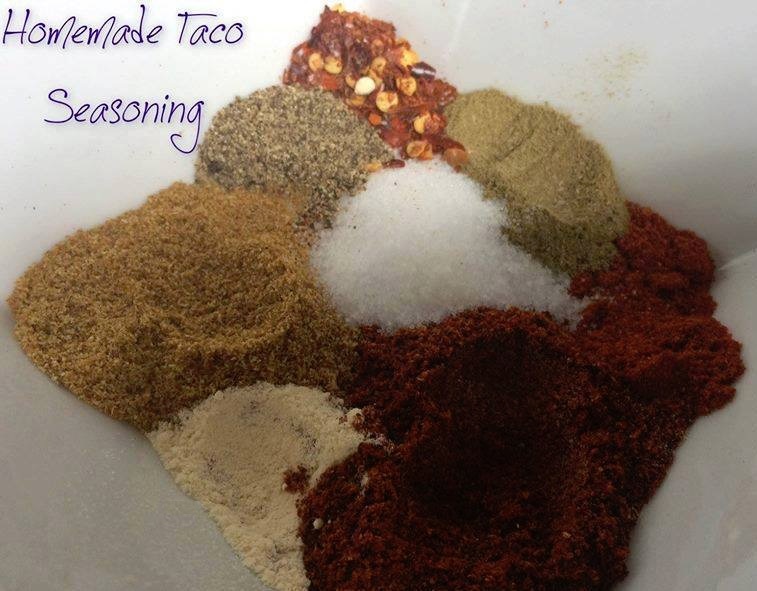 When you are ready to use use your Homemade Taco Seasoning, use about 2 tablespoons per 1 pound of meat. Feel free to add more or use less. Brown your beef then drain off fat. Sprinkle seasoning evenly over meat and add 1/3 cup of water, mix in. Simmer until water is adsorbed.